Be a source of information and inspiration. All right, that might sound pretty Pollyanna-ish, but it is important. Why do we want each of your groups to contribute? Students want to know about all types of design (hospitality, healthcare, retail, education, corporate, residential, institutional, etc.) and the myriad of related issues (construction administration, client dealings, code / building official compliance, sustainability / green design, geographical / political circumstances, business negotiations, bidding / presentations, etc.) that are difficult to learn in the classroom. As a practicing professional, you deal with one or more of these topics on a daily basis. 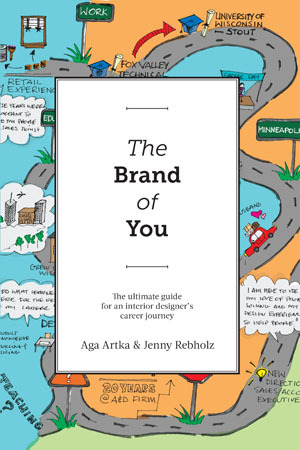 Who better to enlighten students to the real world of design than you? You do your best to convey your industry knowledge, but so many topics cannot be covered in the classroom due to a combination of time and budget constraints. We want to complement your lesson plans, providing your students with information you usually do not have time to address. However, we are sure many of you have gotten creative and have had great success conveying a certain aspect of the industry through one kind of assignment, exercise or another. You could empower others by sharing those successes. Or how about nominating a student to spotlight in our GO GETTERS section? Or sharing your stories from any past or current side practice projects? Instead of educating the few, you have the opportunity to educate the many. Not everyone who gets his/her design degree goes on to be a designer. As you well know, there are a myriad of opportunities out there in the design world besides being an educator or a practicing professional. Let us hear from you researchers, manufacturers, product designers, showroom managers, sales reps, dealerships, facilities managers, etc. Students want to understand what you do and to hear what you have to say. Open up the possibilities to them and change their view of the world of design, possibly changing their lives in the process. Have we convinced you yet how important you are? We hope so. If you are interested in sharing your experiences and perspective, then let us know, and we will put you on The List. We can do it all via email if you like. Inform us about what kinds of things you do and what kinds of topics you would feel comfortable writing about, then we will be sure to contact you only if the situation calls for it. You will get your name (and firm/company) in web print, and you will feel good about yourself for helping future generations of designers. It’s a win-win situation, don’t you think? We hope to hear from you soon! P.S. 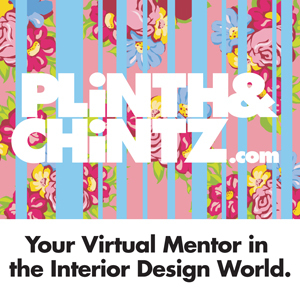 When you achieve your 15 minutes of fame, don’t forget to show off to your friends, family and colleagues by directing them to your article(s) on plinthandchintz.com!